The Vice President, Yemi Osinbajo, has been conferred with the title of Jagaban of Adamwa. The Lamido Adamawa, Muhammadu Barkindo Aliyu Musdafa, on Thursday conferred the honourary title on the Vice President on Thursday. 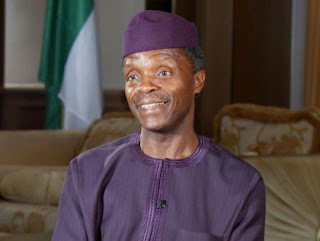 Osinbajo accepted the title, Jagaban Adamawa, meaning front-runner of Adamawa. This was disclosed in a tweet by the media aide to the Vice President, Laolu Akande, on his social media handle.